This held my interest and was better than I expected. Lucy Price-Lewis is such a good narrator that I forgot I was listening. She handled multiple accents, and both men and women with great skill. The story moved right along and although predictable, had interesting characters and great atmosphere and local color. What did you love best about Northanger Abbey? This was a very well done abridgment. Even though parts of the book were left out, I didn't feel that I was missing anything important. The voices were excellent and it was usually easy to tell who was speaking. A lovely story brought to life. Words can't describe how much I love this series. This sixth volume has many very funny moments and makes a good review of St. Mary's, since Max is now training a group of aspiring historians. The characters by now seem so real to me as they follow the twists and turns of the plot. The addition of new characters is welcome. Taylor strikes a great balance between the familiar and new elements in the story. I haven't read these books in print, but I can't imagine them without Zara Ramm's voice as Max. 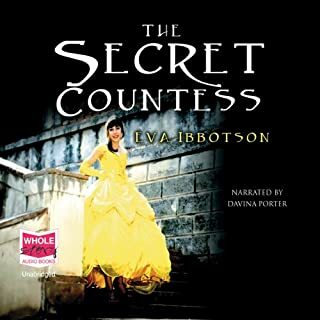 She should receive every audio reader award out there for her masterful renditions of this series. She gets completely into the mind and heart of the author. Tina Devino is a moderately successful romantic novelist who longs to enter the realms of bestsellerdom. But her own life is a world away from that of her romantic heroines. Her off-on lover, the exotic former Russian ballet star, Sergei Popov, seems to be drifting away, and her position on the Salubrious Press fiction list is threatened by younger, more glamorous authors. She knows if the sales of her latest book don't improve dramatically, it might be her final novel. What disappointed you about Happy Endings? I had a hard time with the narrator right from the beginning, but stuck with it because I love Trisha Ashley. The foreign accents were off-putting. What could Trisha Ashley have done to make this a more enjoyable book for you? This book had none of the charming, quirky characters who are so real in Ashley's other books. I should have listened to the previous reviewer who said the main character wasn't likeable enough. Again I might have liked her a little better with a different narrator, but she didn't improve on further acquaintance. Who would you have cast as narrator instead of Rachel Atkins? 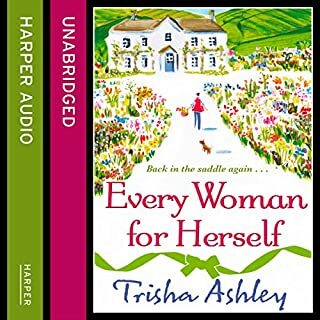 I loved the narrator of Every Woman for Herself, Julia Barrie, and would love to hear her do all Ashley's books. Please, Audible! What made the experience of listening to Every Woman for Herself the most enjoyable? This book is full of surprises. I had trouble getting into it because of the trite divorce setup at the beginning, but it gradually takes on a very unusual and quirky personality unlike other chick lit I have read. The odd and very charming family life is somehow quite believable, even if some of the plot points aren't. And that's okay because the hero is yummy. Tricia Ashley throws in a hodgepodge of stuff: tropical plants, painting, wicca, cooking, the Brontes, far-out preschool education and even magazine publishing (Skint Old Northern Woman!). What other book might you compare Every Woman for Herself to and why? I haven't read other books by this author but I will now, and I wish Audible had all of them. I thought the reading was brilliant. I did like the way she did the men, and also thought her children were wonderful. I actually started it over when it ended, because I had such a bad impression at the beginning. Now I recognize the author's quirky sense of humor which takes a couple of chapters to really develop. 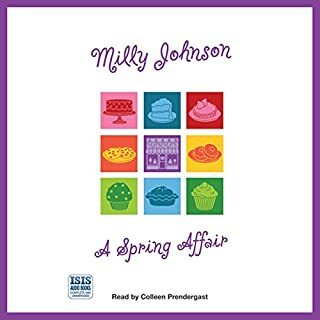 What did you love best about A Spring Affair? The book is very well plotted. The main character Lou is very likeable, and the other characters are well done if a bit exaggerated at times. I just listened to it again after nearly a year, and it was almost better the second time, knowing how it all came out. The story has many good moments. There's never a doubt as to who the bad guys are. The changes in Lou are realistically gradual, and we cheer her on. 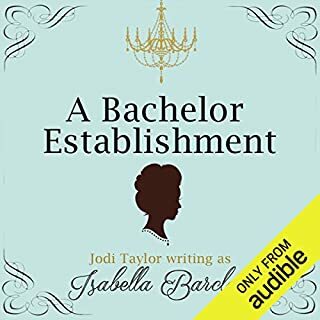 Would you listen to A Bachelor Establishment again? Why? I enjoyed seeing another side of Jodi Taylor. There are some funny moments in the story. I'm wondering if this is an early Jodi Taylor that has now been brought out in the wake of her enormously successful St. Mary's series. For me it wasn't up to the standard of Max's Chronicles, and was just ok. Taylor seemed to be channeling Georgette Heyer, and there were several phrases lifted directly--Heyer fans will recognize them. I think Taylor can do better and if she decides to continue this series, they'll get better! The pen name of Isabella Barclay creeps me out. I'm only halfway through the St. Mary's series, but so far that's not someone I want to be around. 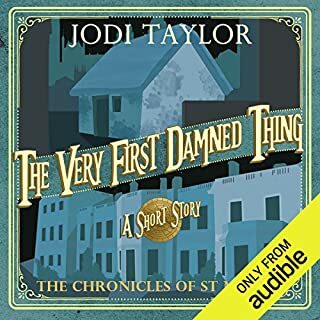 Would you consider the audio edition of The Very First Damned Thing to be better than the print version? It is fascinating to hear the author's voice. I must confess I very much missed the matchless reading of Zara Ramm, but Taylor does have a lovely voice. This novella gives us a chance to get to know the enigmatic Dr. Bairstow better. He's a man on a mission. How will he find the people he needs? Words can't describe how much I loved this. This author never fails to make me laugh, shudder, and sometimes cry. 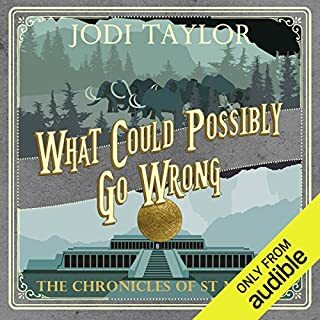 No one who reads the incredible St. Mary's chronicles should miss these shorter stories, and they are FREE from Audible! Rupert, the young Earl of Westerholme, returns home from the war - and Anna, a housemaid, falls hopelessly in love with him. But they can never be together - Rupert is engaged to the snobbish and awful Muriel. And anyway, Anna is only a servant. Or so everybody thinks. If you could sum up The Secret Countess in three words, what would they be? This is a period piece that seems more timeless than dated. Some listeners found the plotline about eugenics disturbing, but I thought it was well handled. Overall I thought this book gave a more realistic view of the aftermath of World War I than Downton Abbey did. But at times this is just a frothy farce. It's predictable, but delightful. Davina Porter's reading was brilliant. She provided appropriate accents and voices for each of the many characters. Her Russian, Italian and French were awesome. If you could take any character from The Secret Countess out to dinner, who would it be and why? Suddenly released from her engagement and out of work, Julia Fairfax is looking for a new direction in life. When a classified ad catches her eye, she embarks on a hilarious trip through the English canals in a rickety hotel boat. 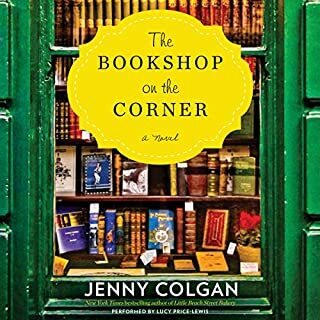 Along the way, she encounters hard-to-please guests, an unsettling ex-boyfriend, and the challenges of cooking in a tiny galley with rattling crockery. Why does this get good ratings? This wasn't my favorite listen. The first part of the book focuses on Julia's problems and her adjustment to life on a narrowboat. Then the plot takes a big left turn and the rest of the book is quite different. Can't say more without spoilers. It almost seemed like two different books. Just my impression, and others may not notice this. There's a great deal of information about traveling through the canals of England on a narrowboat, where our heroine has taken a job as a chef. Some was interesting, but the boating detail was at times hard to follow. 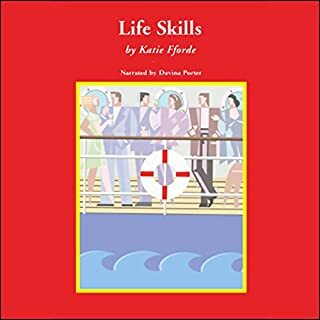 Was Life Skills worth the listening time? 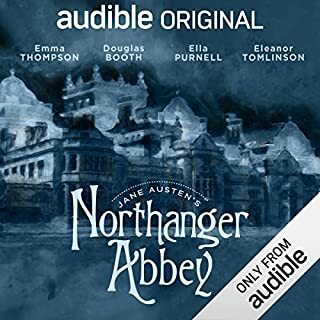 Davina Porter's narration was brilliant and definitely improved the book for me.